When you think of hunters, no doubt visions of the bearded, raving, wild-haired Duck Dynasty clan come quickly to mind. Or maybe some of the swaggering, macho types crashing through the underbrush on reality TV or YouTube videos. Almost all guys, almost all promoting an over-testosteroned, libido-driven, "conquering nature" mien. But that's not all hunters. Take my friend Hank Shaw. A former newspaper reporter who covered California politics from the state's capital in Sacramento, he'd grown up with a mom who showed him how to find and eat the beach peas, sea rocket and clams that grew in or near the waters around the small town of his youth, and a dad and step-dad who loved to fish. He also began to hunt, and to write about the wild things and the wilderness for various publications and for his own blog, which was around the time our paths crossed. "Honest food is what I seek. Nothing packaged, nothing in a box, nothing wrapped in plastic. I eat meat, and I’m not keen on factory farms, so I either hunt it myself or, rarely, buy it from real people who raise animals humanely. Other than pork fat for charcuterie and the occasional octopus, I have not bought meat or fish for our home more than a handful of times since 2005. I am a constant forager, angler, hunter, gardener and fan of farmer’s markets. Eating locally and making good food from scratch is what I do." 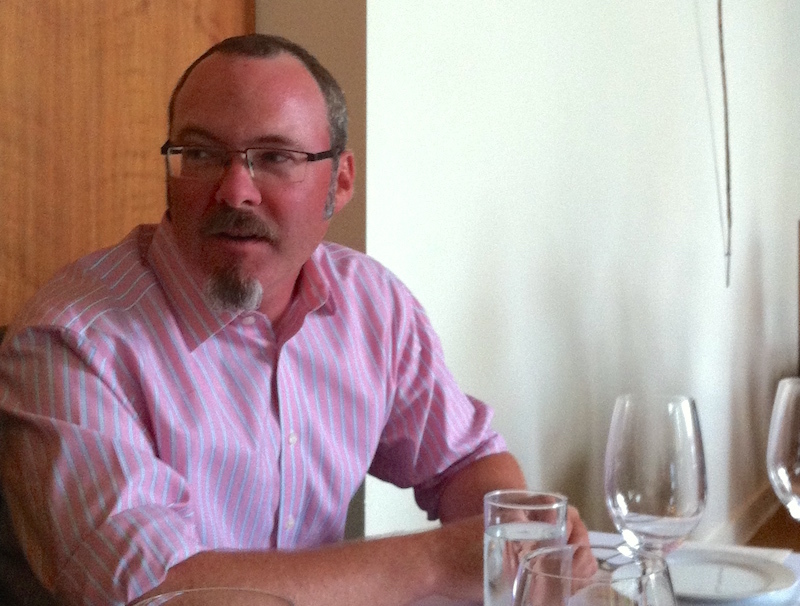 Hank's first book, Hunt Gather Cook, was about his own evolution from forager and eater to the person he describes above, with sections on each of the three activities in the title. Duck Duck Goose, his second book, was about hunting the waterfowl that live in our waterways and populate the skies above us, as well as how to cook them from beak to tail feathers, to paraphrase the au courant nose-to-tail style of eating. 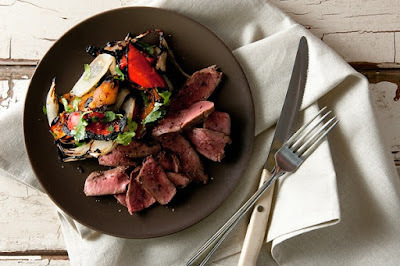 As a non-hunter myself, but someone who cares very much about food and cooking, I find his writing and storytelling, not to mention his recipes, engaging, compelling and approachable. 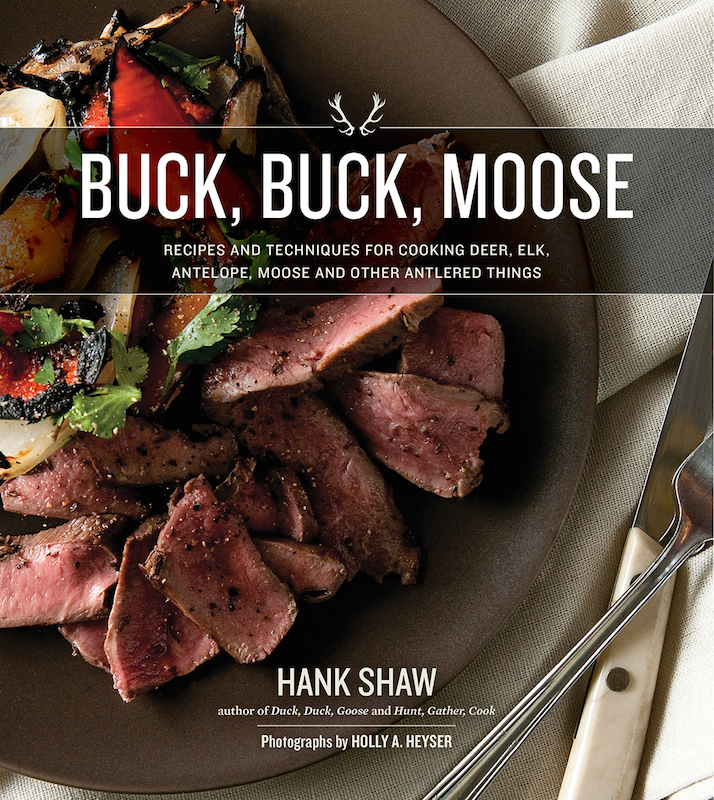 His latest, Buck Buck Moose, is just what it says in the subtitle: recipes and techniques for cooking deer, elk, moose, antelope and "other antlered things." It's no surprise that I appreciate the sense of humor in that title, as well as Hank's meditations on what it means to take a life in order to sustain your own. "I feel a deep kinship with the animals I hunt; most hunters do. We get to know them in a far deeper way than all but a few other sorts of human: We know their personalities, their foibles, their habits. Where they like to live, what they like to eat, and what they might do in any given situation. Yet most of us take delight in being fooled when a deer or rabbit shows us some new quirk of their behavior. Hunt any animal long enough and it ceases to be the Disneyfied caricature of itself most people know and blossoms into a clever, free-thinking entity—an entity not so different from us." – From "The Hunter's Paradox"
His book tour for Buck Buck Moose will bring him to Portland in early September, and I'd encourage you to attend an event if you can, as well as to buy the book. Here's the schedule. 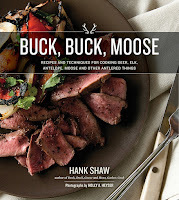 Sept. 10: Book signing and Demo in Portland at the Filson Store. Top photo by Holly Heyser.